Bring Exceptional Growth To Your Business With Intuitive Apps By Hyperlink Infosystem! Is your brand enthusiastic enough to get connected to smartphone users with an innovative mobile app? Are you a small or medium business owner who wants to create an online presence and gain a competitive edge with Android or iOS mobile app in Qatar and Bahrain? As one of the best mobile app development companies, Hyperlink Infosystem help its clients to expand their business and reach the targeted customers through smart, performance driven and intuitive mobile app. Witnessing the amazing growth of smartphone users in Qatar and Bahrain, mobile apps are one of the best tools for business promotion and marketing. Applications developed by the development team of Hyperlink Infosystem helps you to unleash business potentials and improves proficiency of the business. How Do We Convert Your Raw Ideas Into Million Dollars Business? Everything Is Just About An Interface Right From Wireframe Till A Pixel. Our UI and UX experts are skilled and passionate to develop Android & iOS apps that are up in style. With 5+ years experienced mobile app development company, we know the pulse and rhythm of mobile users and the type of apps that attracts them. We design highly interactive apps that meet clients business goals and expectations. Our app development process is quite rigorous and follows an agile approach to build scalable, robust and bug-free apps. Our developers ensure to optimize coding lines at every stage and develops an app that gives an utmost performance. We believe in the development of the applications that gives expected output. Being a renowned mobile app development company, we desire for perfection and believe in a commitment to the given words. The developed apps are submitted to testing team for rigorous testing in real-world scenarios using actual devices instead of simulators. We make sure that no room is left for bugs and the delivered app is powerful and engaging. 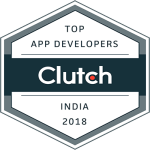 With development center situated in Ahmedabad, our app developers have in-depth knowledge of major platforms and frameworks used for mobile application development. We hold expertise and experience in multi-lingual mobile apps on both iOS and Android platforms for various niches like health care, on-demand, education, retail, e-commerce, B2C and much more. As mobile application industry has emerged to be highly competitive, we struggle hard to deliver top-rated mobile apps to the leading app stores. So, if you want to develop a mobile app for your business, drop us your requirements and contact us to decide the best price model for your business.